Yes, it’s Impulse Response day here at Orpheus HQ, and now some for you guitarists out there. One of the very cool things about the new Ampire XT plugin (which has rapidly become my favourite guitar sound plugin bar none) is that not only do you get a choice of several very nice cabinet models with Studio One, you can even load your own custom cabinets! And you can have up to three different IRs with varying mic positions on every preset. 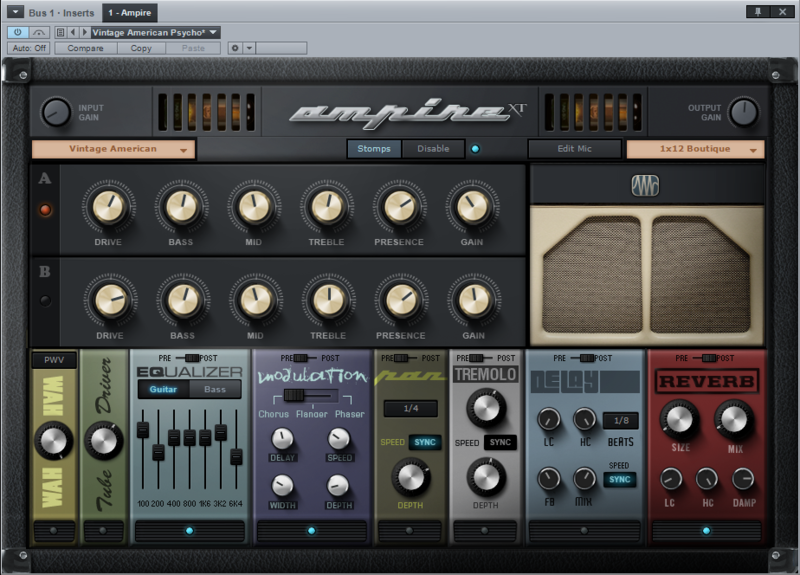 So here are some nice cabinet IRs you can download for free – to use them open Ampire XT in Studio One 2.0 and in the cab drop down menu on the top right select User Cabinet. Then just drag and drop the Impulse Responses on to one of the three IR slots. Most of the IRs listed here have been recorded with several different mic positions, so I recommend loading three different IRs of the cabinet you want, then you can use the Edit Mic function in Ampire to mix and match between them to get the exact sound you need. Posted on Thanks Preston! I’ve been following Jetson for a few years so it means a lot for you to have taken some time to check us out. I think you’ll enjoy the on site faogote from the knowledge base sessions we do on our job sites. Check back in a while! Nope. It’s part of 2.0. You will need to upgrade – and trust me, it’s well worth the upgrade price! is there anyway to get this plugin and stay with studio one v1? how do u add your own instrumental to the track? like for example if i want a hip hop instrumental? please help? If you use the IR Maker plugin with 96k sample rate, the IR will be 96k as well (this is recommended, and the Ampire IR’s should already all be 96k). However in use the IR’s are always resampled to the current song sample rate. What if I am recording @ 96k sample rate? Will the IR have to be also 96k?